The attack in the Kandahar city comes ahead of elections on Saturday. 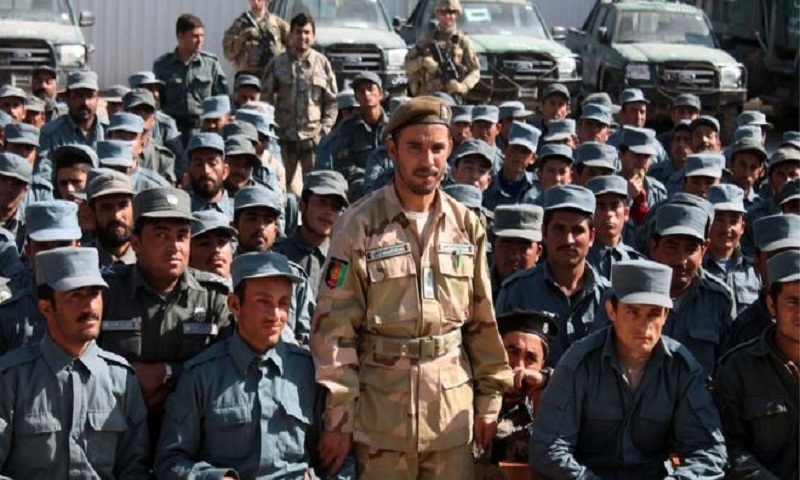 In a statement, the Taliban referred to Gen Raziq as a "brutal police chief". There are reports that the local army commander also died. Unconfirmed reports from local officials suggest that Gen Miller appeared to have been saved by his body armour. Afghan officials had warned that attacks ahead of the parliamentary election were likely. The Taliban has warned voters not to take part in what they say is a ballot imposed by foreigners. Some expressed fears that Gen Raziq's death could keep voters away from polling stations. "Gen Raziq's death will have a huge impact on security and the election in the south because a lot of voters may not feel safe to go to vote," a senior security official told Reuters. The vote is the third parliamentary election to be held since the Taliban were removed from power in 2001. At least 10 candidates have been killed in attacks around the country in the run-up to the vote. There have also been attacks on voter registration centres, including one in April which killed nearly 60 people. The vote is being seen as a test of political reforms undertaken by the Afghan government as well as its ability to organise a free and fair vote. It comes ahead of the all-important presidential elections due in April 2019. What about US forces in Afghanistan? American combat operations against the Taliban officially ended in 2014, but over 8,000 US special forces remained in the country backing and providing training and assistance to Afghan troops.